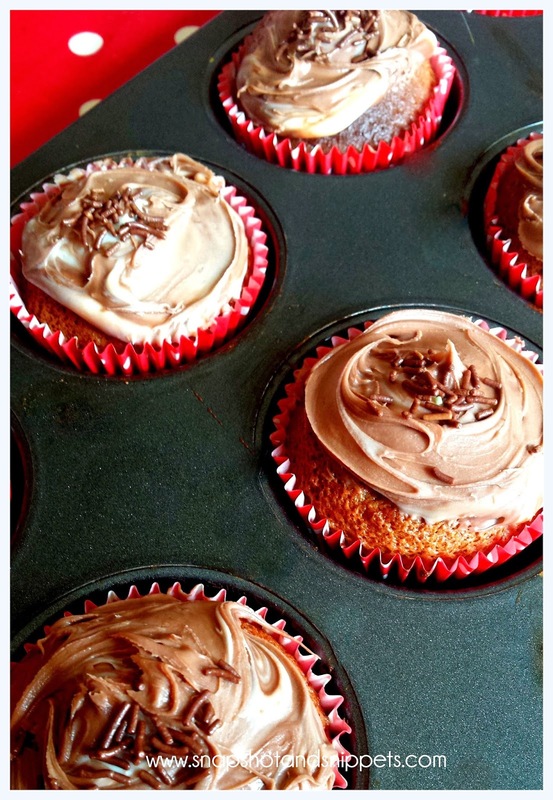 Welcome to What we Eat Wednesday and I have a sweet treat for you this week if you are not a chocolate lover turn away now because these muffins are chocoholic heaven. 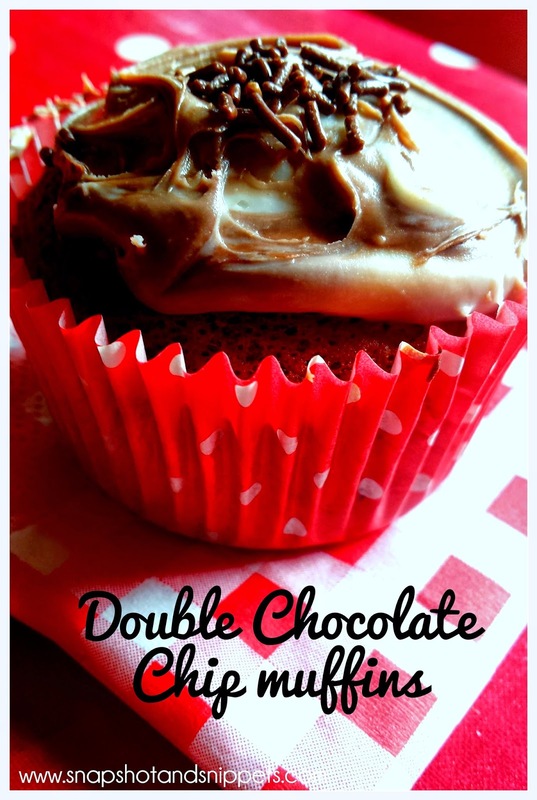 Double Chocolate Chip muffins are just heavenly but just don’t count the calories !! My daughter’s loved these and not one was left when I left them out for the teenagers. A word of warning you will need a drink of milk or a cup of tea or coffee with these and a good sit down ! 6oz (180g) Self raising flour. Preheat the oven to 180 degrees C or 350 degrees F and put muffin cases into a muffin tin. Whisk the eggs and sugar together in a large bowl until pale and fluffy. Sift the flour and the cocoa powder and fold into the egg and sugar mix. Fold in the chocolate chips slowly so not to knock too much air out. These are light and fluffy. Cook for 40 mins until cooked through. Leave to cool and then ice with chocolate spread icing. For more of my recipes or other posts, you can find your way around Snapshot and Snippet on my Start Here page. Or sign up for my Snapshot and Snippet Newletter for access to my latest Recipe Ebook and exclusive recipes and Printables !